Why canned shaving creams are not worth the savings. If you walk into any store that sells personal care items you will see shelf upon shelf of canned foaming shave creams. What many men (this also applies to women) don’t realize is that the cuts, nicks, and irritation that they assume are a normal part of the shaving process are really the product of using inferior shaving creams. They blame irritation on their razor, or they assume that they simply haven’t found a cream that ‘works with their skin’ yet. While there are reasons why your razor may be irritating your skin, more often than not, simply changing away from canned foaming creams will radically change your shaving experience. The result is that canned shaving creams are soapy and heavily perfumed. They sit compressed in the can until a dose of butane shoots the mixture out. When you watch the cream expand, it is the material soaking in air. When you apply the chemical cocktail to your face, everything that isn’t in contact with your skin is essentially wasted. This means that the Santa beard your fast foaming shave cream gives you is mostly wasted product, and the product that is actually doing its job is mostly air. To review, shaving cream is meant to lubricate your skin so that your razor can glide across it. If there is an inch or more of product on your face then the excess isn’t doing anything for you. Plus, on the microscopic level, that ‘rich’ lather is only given its structure through copious amounts of air. Air, of course, doesn’t protect your skin in any way. As a result, nicks, scrapes, and cuts are more common—no matter how sharp your blade is. 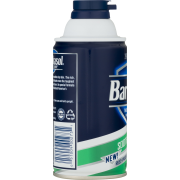 The convenience of the propellant in the can also means that users grow accustomed to shaving without a shave brush. While a shaving brush isn’t strictly necessary for a successful shave, a premium brush will greatly improve your shaving experience and your razor longevity. When a shaving brush is used correctly (applying cream in a circular motion) facial hair is raised and coated with lather. Your razor’s job is easier, and you will have a more uniform layer of protection for your skin. The slender can, while convenient, if not properly recycled, contributes to landfill waste, and the production of cans is a more energy and materials intensive process than alternatives. Cases of cans cannot be shipped as effectively, that is to say that the number of units that can be fit on a truck is less than that of alternatives. There a numerous reasons why canned creams are simply inferior to non-foaming options. So if canned creams are so terrible, why do people buy them, and why are they even still made? It comes down to money. Despite the waste, canned creams are still very inexpensive, and they make tremendous amounts of money for their manufacturers. 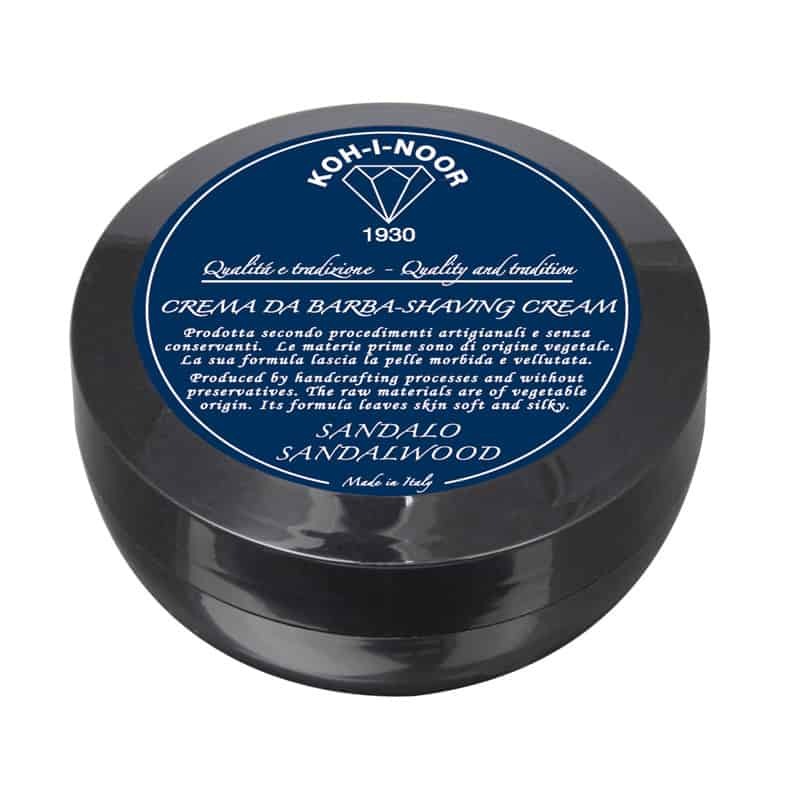 At the end of the day, using a canned cream is better than using no shaving cream at all, but in many cases a bar soap will produce similar, if not superior, results. Canned shaving creams, in addition to being very affordable, are also very accessible. Even grocery stores carry a wide selection of brightly colored and ubiquitous creams from name brands. In all fairness, some of the gel options are additionally convenient as they produce a clear lather which means that trimming, edging, and shaping of facial hair is easier. Leaving the can on the shelf and investing in some non-foaming, high lather shaving cream will dramatically change your shaving routine. Non-foaming options have a myriad of benefits and tend to rely on more natural ingredients. Instead of using a charge of propane or butane, the lather is created by hand with a shaving brush. A high quality brush will retain an impressive amount of water to create a rich lather that clings to your skin preventing extensive waste and ensuring that your skin is well protected. Because they don’t need to be compressed, non-foaming creams can come in a variety of containers. Tubes, applicator sticks, and shallow screw-lid containers to name just a few. Invariably, these containers require fewer materials than the production of aluminum cans and are more readily recyclable. My personal favorite are the shallow screw-lid containers because they offer a generous amount of surface area to grab a bunch of product with my brush. In lieu of a cocktail of chemicals, these non-foaming creams—sometimes called soaps, butters, and pastes—often rely on more natural ingredients that are less harsh on skin. Many canned creams are heavily perfumed, the exception being those labelled ‘sensitive skin’. It is not uncommon for the dyes and perfumes in canned creams to further irritate sensitive skin. Remember, the act of shaving can remove as many as two of the uppermost layers of skin making it more vulnerable to irritation. When applied with a quality brush, a non-foaming cream a quality brush, a non-foaming cream will raise facial hair and coat skin with a rich lather for a smooth and irritation free shave, whether you use a single blade or a cartridge razor. Check out this article to learn more about the difference. Everything has a downside. The downsides to using non-foaming creams are largely convenience based. Compressed and canned creams are convenient, no question. Working up a suitable lather with a quality non-foaming cream, while a quick process with a premium brush, takes more time than using compressed creams. The non-foaming alternatives are often more expensive as well, sometimes by a little, sometimes by a lot. My opinion is that the few extra bucks are worth it for the dramatic reduction in skin irritation that non-foaming creams offer but that’s a value judgement. My guess is that if you try a non-foaming cream you won’t want to go back, and combine that with a premium razor and a quality shaving brush and you will find yourself looking forward to shaving in the morning. Your skin will definitely thank you, and if you are in the habit of accepting thanks, consider giving a friend the gift of an astonishingly smooth shave. Check out our assortment of classically styled premium shaving tools for a shave that you will brag about. Until next time, stay slick, stay stylish, and stay smooth.